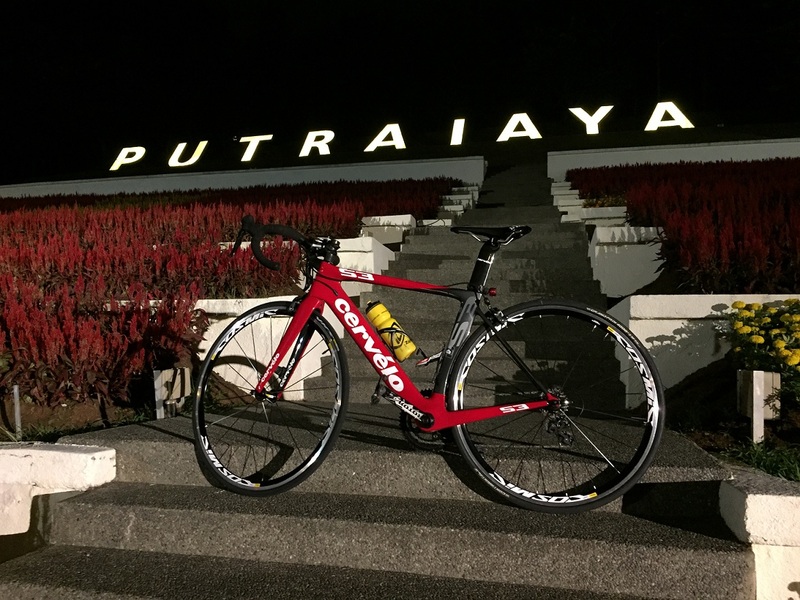 Yes… it was Putrajaya route again. Well, it never stops surprising me. Each time I cycle here it has new places for me to discover or taking pictures. Well, at least not that many anymore. 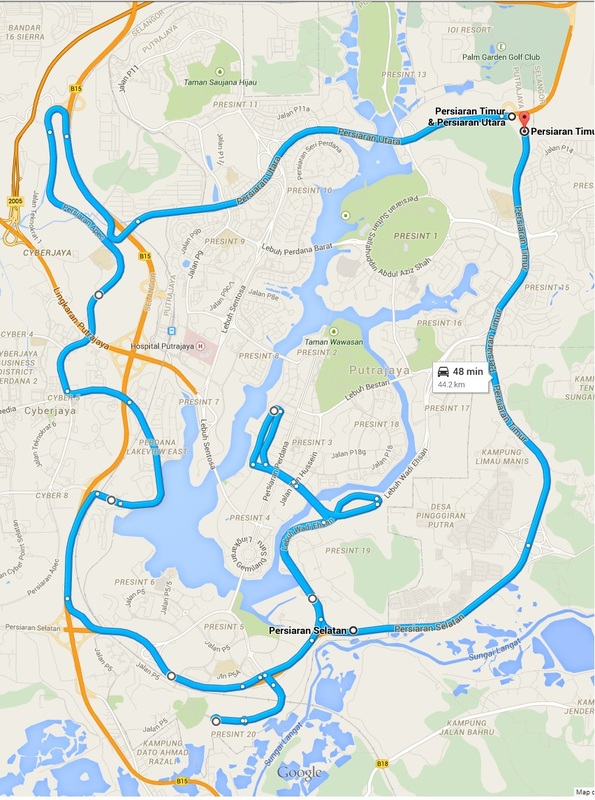 This time we rode on a “highway” – Lebuh Sentosa and total distance is 20km. 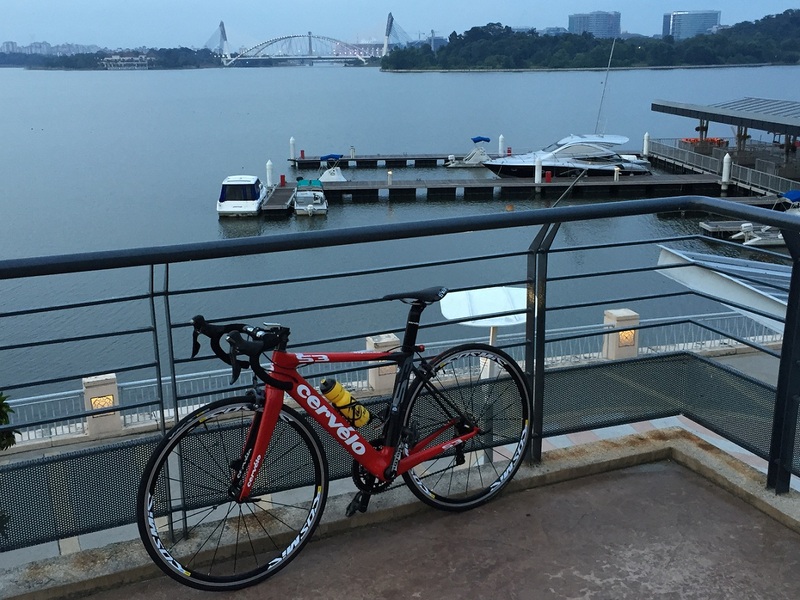 It was another leisure ride during Chinese New Year (CNY). Well, I wouldn’t completely call it leisure ride as I was spinning with at least 100rpm and above throughout the ride to get me sweat. I have been here many times or at least ridden here 3 times but not during major public holiday like CNY. It should avoid at all cost. The place was jam packed with cars and people. It was so dangerous to move around the Putra Mosque as cars were double parking, moving here and there to look for parking. Also, lots of people were crossing the road. And, if you are riding a road bike with cleat shoe will not help. 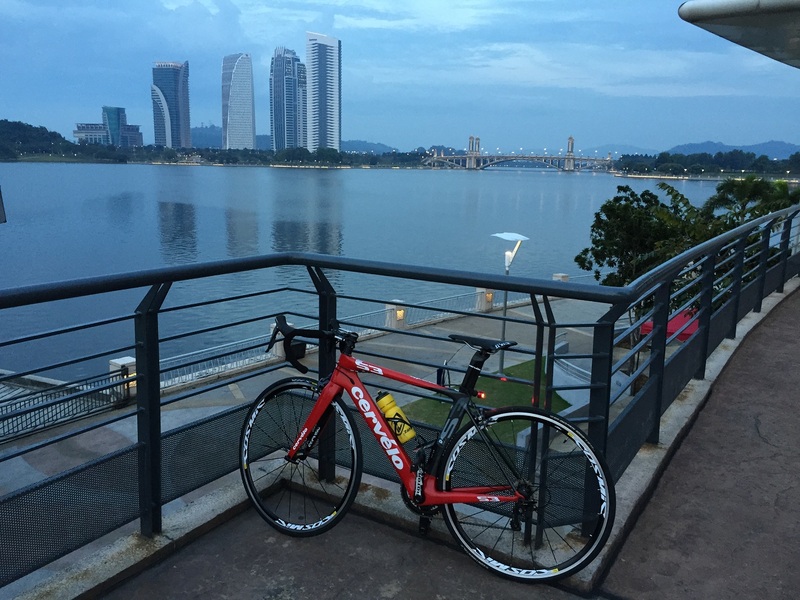 I hope to go back there again but this time I am going to ride the Putrajaya Ironman route. It is 45km loop, so it can be done in the evening with ~1.5hrs. This Polar bottle is an insulated bottle meaning it will keep your drink cold as long as possible during a hot sunny day. I got this bottle a while back but I never had a chance to use it under a hot sun until last weekend. I bought it from Cycling Express during on sale and it was only for RM 23. This is a 24oz or 710ml bottle which is good enough for short ride. The cap comes with easy opening and large flow. This is crucial for cyclist who wants to get a large water intake and easy to open without 2 hands. On last weekend, I had 2 bottles and one without the insulation. The one without the insulation the water gets warm within 20 mins time (with ices). 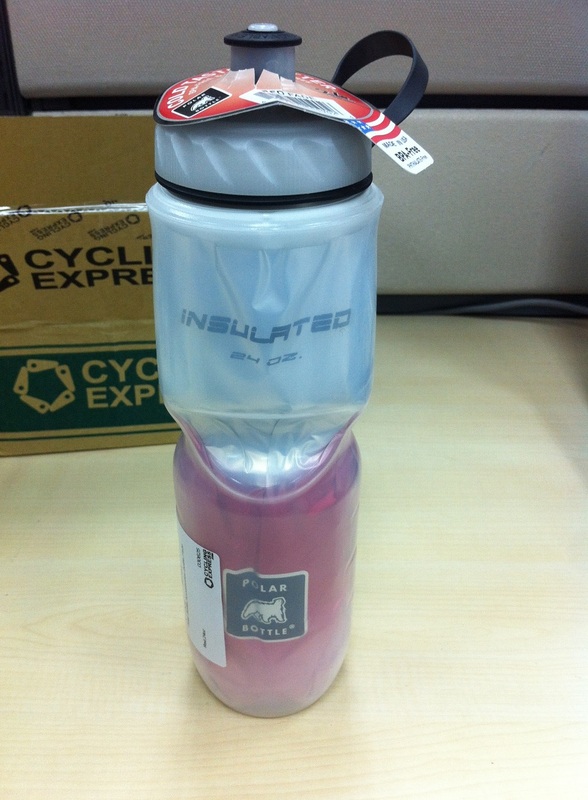 Whereas the Polar bottle, the drink was still stay cool for at least an hour of my ride. Of course, the ices were already melted. The most important thing was my drink was still cold. To some this may not be important but I like to have some cold drinks especially riding under a hot sun and long journey. At least it kept me going. 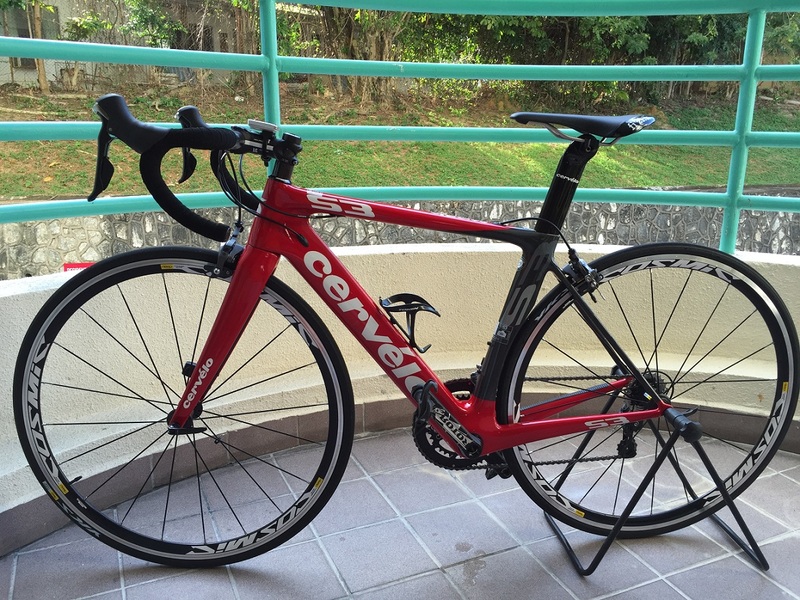 These wheels came along with my Cervelo bike and it is an entry level of Mavic aero wheels. It is the most affordable range for rider who wants deep profile wheels yet does not have deep pocket. It is priced at USD 600 for full aluminum wheels. Since the height is only 30mm, so it is just a medium profile wheels which are neither good for flat nor bad for climb. So, it is an all rounded wheels. This suits my ride in Penang very well. The spokes are bladed to have more aerodynamic but probably insignificant for riders who are just enjoying cycling or in training. You probably wouldn’t be using these wheels during the race day. Weight is 1770g which are not light wheels but that doesn’t make any different on flat. This is also good for heavy rider. These wheels have all the technology like FTS-L, QRM, SUP and UB control from its more expensive siblings. I am neither heavy rider nor light as I weight about 75kg and I have these wheels for 2 months now. It has not been giving me any problem so far as it is still stay true. As said, these are pretty heavy wheels but on the flat road I feel no different from my previous wheels. It was sprinting pretty well once you have the momentum going on. Ahh… from stop-start, I do feel a bit of lacking power to get it moving. Also, by going up 3 degree gradient hill it is slightly slower than my previous wheels. I am not sure if 1-2km/h slower has any significant value for you if it is during training. Actually, during training heavier wheels are good for your legs as during the race day you will fly with the lighter wheels. Does it really flex? I would say it is pretty stiff as I was observing it again yesterday during my ride and I can see it slightly closing to my brake pads during a steep climb and out of my saddle. So, it is not that bad at all. The wheels come with Yksion Comp tires and it is highly recommended changing it out. I had flat tires in 2 consecutive weeks. I got frustrated and changed it to Continental. 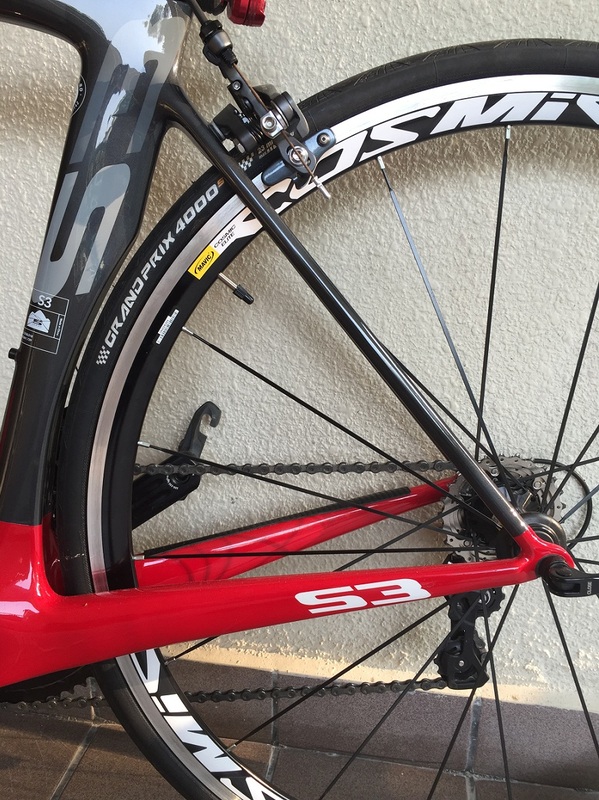 If you are looking for a pair of good and reasonable price training wheels for your bike, then these are the wheels that you want to get. Or you can add a little bit more for American Classic 420 Aero 3 wheels.